Most cafes and restaurants in Canberra are pretty good for vegetarians, serving up at least one or two options for those in our community who choose to not eat meat. Sometimes, however, being a vegetarian can just get awkward. I’m sure other vegetarians can attest to the experience of ordering a “chicken burger without the chicken, thanks” and the person behind the counter gawking at you while your request processes. Anyway, this week, I was excited to get your recommendations for the best vegetarian in town. We had votes come in for places all over Canberra, some for exclusively vegetarian/vegan establishments and others for those that could be classed as vegetarian-friendly. Most of the votes didn’t come as a surprise, but I am forever indebted to the person who mentioned that Akiba has a separate vegetarian menu. I am so excited. All up there were 27 places that received votes this week. 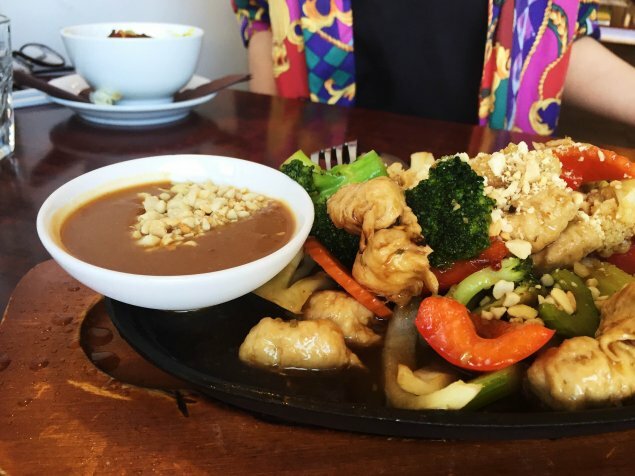 Shout outs go to Eighty/Twenty in Braddon for its healthy vegetarian options, Malaysian Chapter in Belconnen for its separate vegetarian menu and Kingsland in Dickson, one of Canberra’s all vegan restaurants. However, the top two places fighting it out for Canberra’s best vegetarian this week are Au Lac Royal Vegetarian Cuisine in Dickson and Sweet Bones Bakery and Cafe in Braddon. Au Lac Royal Vegetarian Cuisine is a Vietnamese restaurant on Woolley Street in Dickson, well known for its fake meat dishes. This is one that divided RiotACT readers this week, with a number of people convinced that fake meat is a taste sensation they’d rather not experience again. However, more people came out in favour of their vegetarian offerings and rocketed Au Lac to the top of the list. On my visit this weekend, I tried the roast soy duck ($15.90) and soy chicken on hot plate ($15.90). Being a vegetarian, I’m quite into my soy products in whatever form, but I can definitely appreciate that the meat eaters among us might find the fake meat thing a bit odd. Thanks to whoever it was that recommended the roast duck – it was an absolute stand out dish. The crispy skin was almost so perfect that I got a little worried it wasn’t fake. I liked the chicken dish too – the peanut sauce was divine, but the soy chicken was an obvious fake. On an entirely different note, Sweet Bones is an organic vegan bakery and cafe located on Lonsdale Street in Braddon. The only similarity that they share with Au Lac is the vegan status. In contrast, Sweet Bones is all about Mexican-inspired breakfast and lunch, as well as the most delicious baked goods. This weekend, I ordered the nacho mountain ($16) and it was super tasty. The jalapeños pack a big of a punch though, so beware, this is not one for the feint hearted. 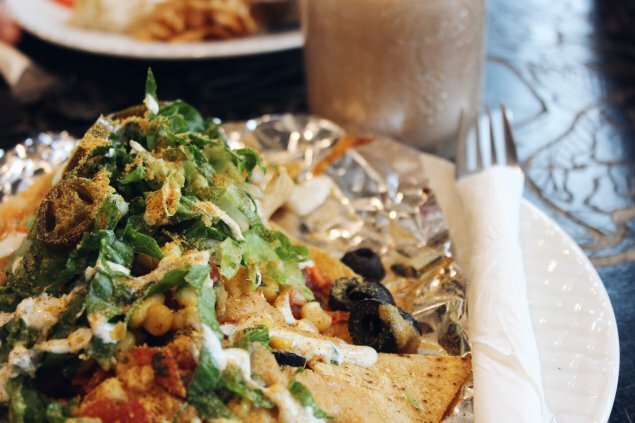 What I love best is how creative Sweet Bones is with its ingredients – the vegan cilantro sour cream was deliciously creamy and the perfect topping on a mountain of nachos. 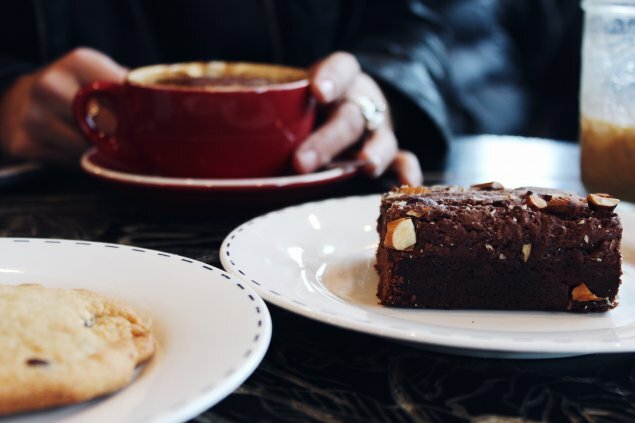 Being well-known for their baked goods, I couldn’t leave without having a cheeky chocolate brownie. It was the perfect sweet ending to a delicious vegan meal. While both Au Lac and Sweet Bones serve only vegan food, the similarities seem to stop there. 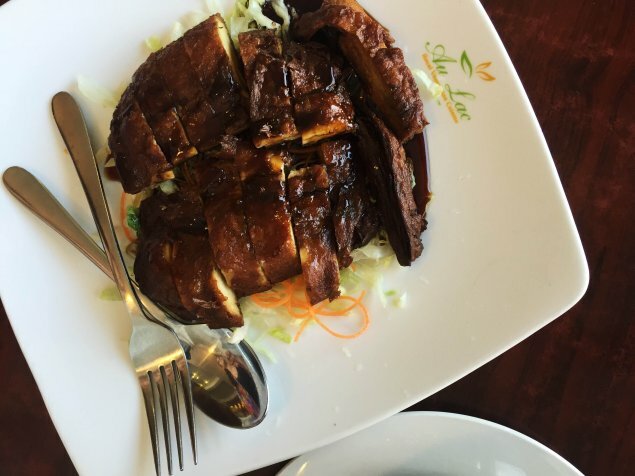 Au Lac is a Vietnamese restaurant primarily serving up fake meat dishes, while Sweet Bones is a bakery and cafe known for their Mexican-inspired meals and vegan cakes. They are barely comparable and, for that reason, I’m calling a tie for Canberra’s best vegetarian this week. now these photos can make anyone craving for it.